This course covers all topics which a mobile app should have, like introduction part, designing part, coding part, and testing mobile app. 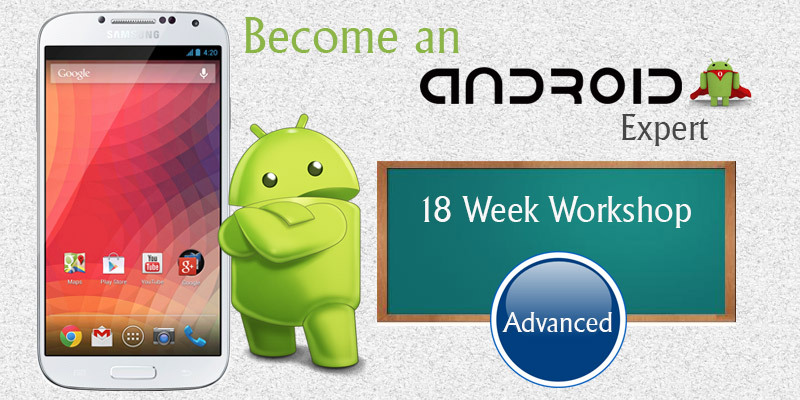 The main goal of our Android Training workshop is to share our knowledge to Freshers and Experienced persons. To turn them into professionals and get job ready. During the workshop you will learn a lot many things which you are willing to learn since long time. You can also check our syllabus for detailed information. 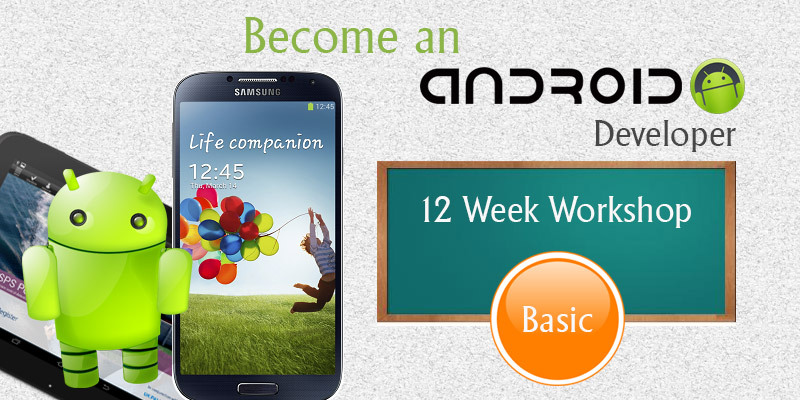 Hands-on training course taught by android developers. Why we started Android Application development training ? Who should join our Android Training Workshop? What will you learn in Android Workshop? Activity & It’s Life Cycle, Services, Broadcast Receiver, Content Provider, Push Notifications, Sqlite Database, Custom Controls.